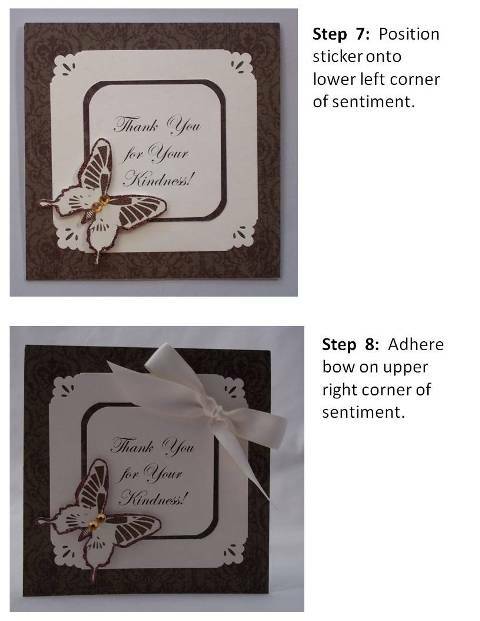 Make an Easter card for your family and friends that's pretty yet simple to make. 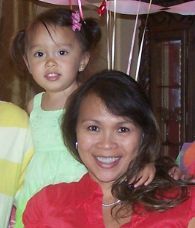 Create beautiful cards using my hand made card ideas on this site. 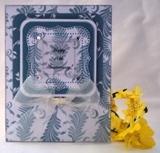 Make your own Easter cards so that you can personalize them. I had the sentiment stored on my computer and just changed the text and made it for Grandma. 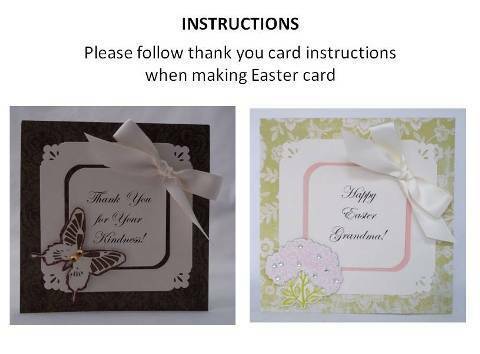 You can make Easter cards that are simple and quick. I used this card design for a thank you card and thought it would make a great Easter card as well. 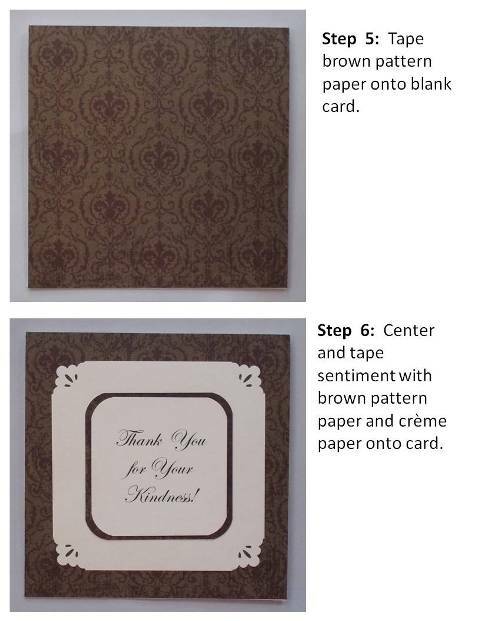 I added a cut line around the text to save time when it came to assembling the card. 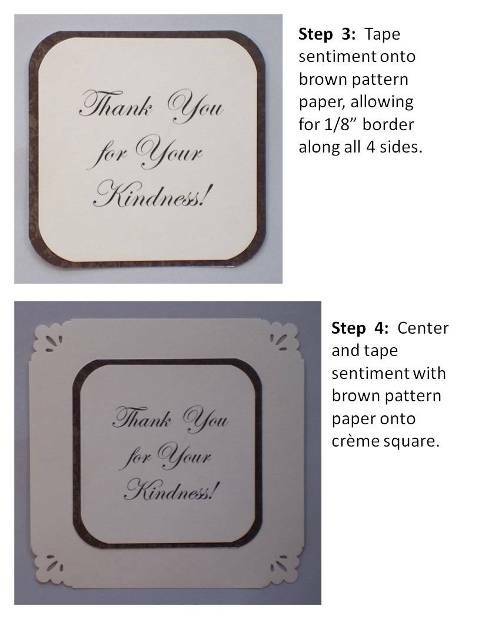 Once the sentiment is printed and trimmed, the rest of the card is simple to assemble. 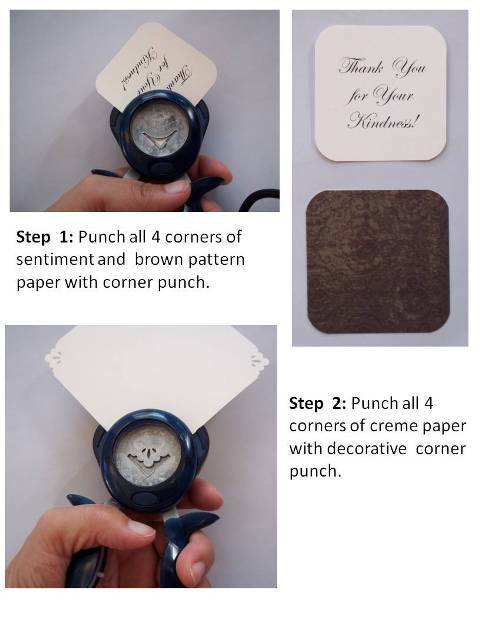 For my Easter card ideas, or other handmade card ideas, I often use my craft punches and for this card, I used a decorative corner punch and 1/2" corner punch. 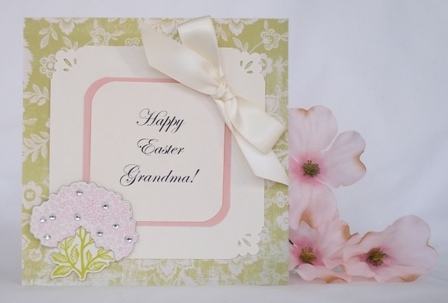 This homemade card was created for Grandma so I used a pretty, flowery print and a beautiful flower sticker. The sticker already had gems on it so I didn't need to add a lot of accents to this card.